NEW YORK (WABC) -- A flight attendant hoping to head to New York ran away from security. The TSA says she left behind a huge load of drugs and designer shoes. The woman approached a crew checkpoint at LAX. She was pulled for a random screening and agents say she became nervous. After a quick phone call, she turned and ran away with her bags. Then she apparently dropped the bags, jumped out of her Gucci heels, ran out the door and got away. 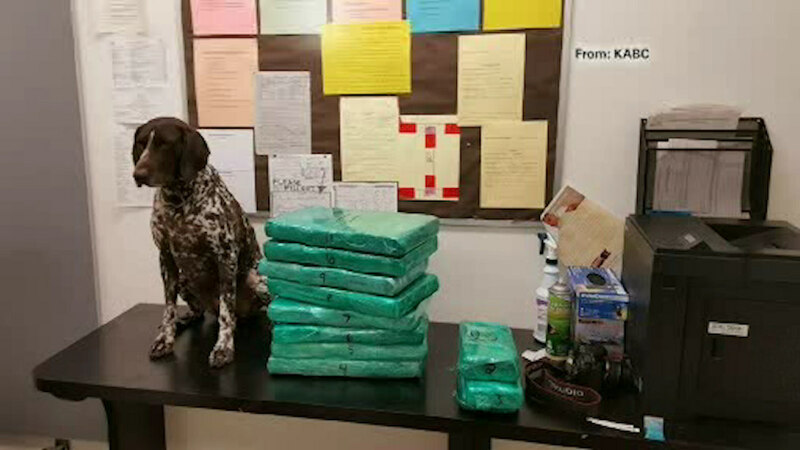 When the bags were taken, authorities found 70 pounds of cocaine inside. Crew members are not normally subjected to searches, according to airport police. The Los Angeles Airport Peace Officers Association said the incident is an example of why LAX needs to screen all passengers and airport employees. "While passengers pose threats, so do employees at airports who game the system knowing that they will not be checked when they come to work," Marshall McClain, President of the Los Angeles Airport Peace Officers Association said in a written statement.